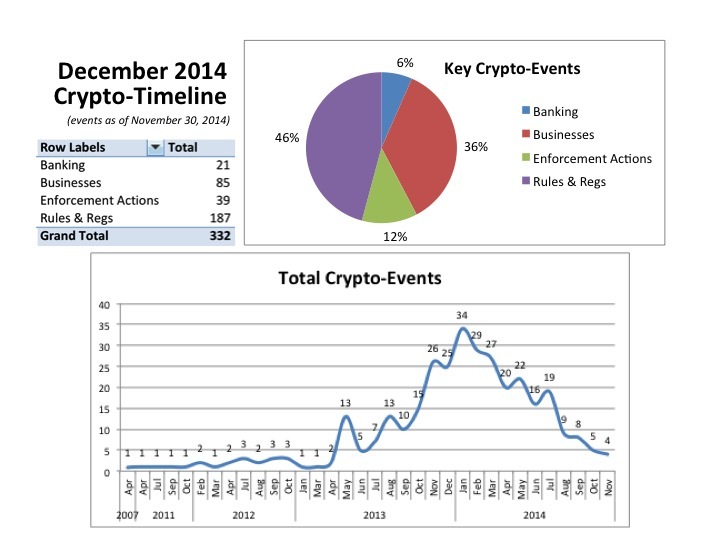 Here is a log with relevant legal, regulatory, law enforcement and business risk milestones in the race of crypto-currencies to maturity with links to trusted sources. This November was an extremely quiet month -only four meaningful events, a 19-month low! Please point me to any events that you consider important and would like to see on the log.